Currently riding a wave of success at the box office, the Jumanji franchise is one that has captivated audiences new and old. One thing that is missing from the franchise has always been an official online slot game. Enter NetEnt. The deal, between NetEnt and Sony Pictures Consumer Products, will bring all of the magical action of the movie series to the reels for the first time, with the first game already pegged for release later on this year. We can only assume that NetEnt was waiting to see how the latest entry in the series, Jumanji – Welcome to the Jungle, performed before pulling the trigger on the deal. By all accounts, the movie has exceeded all expectations, grossing almost $700 million worldwide since its holiday period release. Those are the kinds of figures that are always likely to have the leading slots developers queuing up for the licensing rights, and we couldn’t be happier to see NetEnt, our favourite developer right now, winning that particular race. Henrik Fagerlund, Chief Product Officer at NetEnt, commented: “Being able to secure a deal for another high-profile title showcases the moves we’re making in diversifying our roster of games. 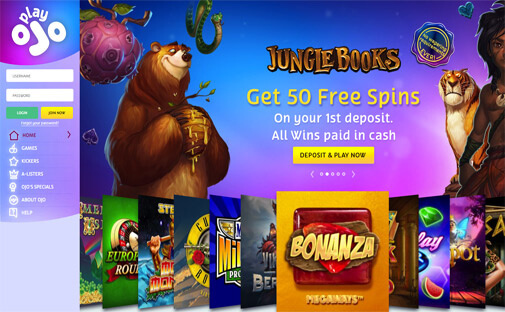 Jumanji is a great addition to NetEnt’s renowned branded games portfolio alongside the likes of Planet of the Apes, Guns n’ Roses and the Motorhead video slot. Deals like this one rarely reach the public domain immediately, and we get the impression that work is already well underway on the new Jumanji slot that will be swinging our way later this year. Evidence for that stems from the fact that the press release noting the deal also mentions that an early preview of the game will be available for viewing at NetEnt’s stand at ICE. With the event only a couple of weeks away, that means that we should have more information on what to expect from the game before long, and there is plenty of cause for excitement. NetEnt never holds back on the innovation and creativity on their branded games and really puts the money spent to good use. We have to admit that we have never actually seen any of the Jumanji movies but that does little to discourage us in our anticipation. After all, some of our favourite branded online slots are based on movies that we have never seen, and the lengths that the likes of NetEnt go to in order to make the best of their licensed games usually results in top quality action. We don’t listen to Jimi Hendrix, but we love to play their slot based on the guitar legend! There is no news yet on when the game will actually be released, but you can be sure of finding all of the latest updates on the development schedule right here on the blog. We also hope to have more to say on what to expect following the ICE conference, so stay tuned and be prepared for the hype levels to go through the roof!